Volkswagen's new vehicles have always been able to stand out not only due to the driving pleasure they offer, but also for their build quality and craftsmanship. Often the only German vehicles in their respective segments, new Volkswagen vehicles stand out in many different ways. 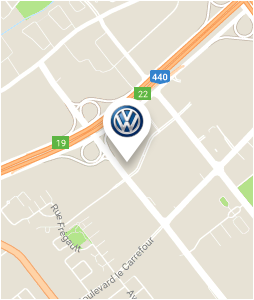 Come in today to Arbour Volkswagen in Laval and discover our complete inventory of new Volkswagen vehicles. We have an extensive inventory of new models for every need, and our team of sales representatives cannot wait to help you find the right VW for you. Come and try out the all-new Volkswagen Atlas at Arbour Volkswagen in Laval today. Spacious and versatile, this new SUV is able to meet all the needs of your family. Arbour Volkswagen also offers its customers in Laval and Montreal a wide selection of new Volkswagen Tiguan vehicles available with a third row of seats if you wish. Arbour Volkswagen should also be your first destination for a brand new Volkswagen Touareg, the most luxurious SUV in the Volkswagen lineup. And if you don't need an SUV but still want a versatile vehicle, take a look at the new Volkswagen Golf Alltrack and the new Volkswagen Jetta SportWagen. Visit us today at Arbour Volkswagen in Laval to discover our large selection of Volkswagen Jetta and Golf models. We have the colour and the version you are searching for in your next Jetta or Golf, and we also have several Volkswagen Golf R and GTI models to offer you. Arbour Volkswagen is also able to offer you a large selection of Volkswagen Passat and Beetle models at a competitive price. Book your test drive today.